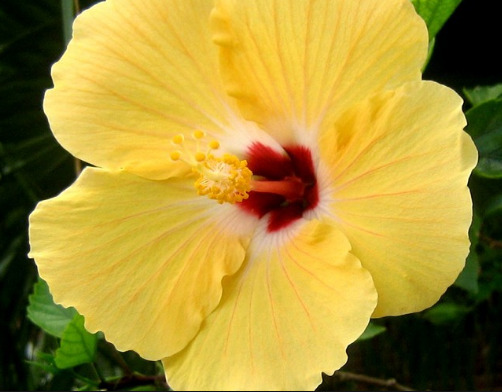 Sunset Yellow Hibiscus is an evergreen shrub/small tree that averages 3 to 6 feet in height with a spread of 3 to 6 feet. Its habit of growth is upright, symmetrical, and many-stemmed with a moderately dense crown. It is sometimes trained as a small tree. It has a moderate to fast growth rate.